Sustainable agriculture is an approach to food production that attempts to use natural resources, such as soil, water, fossil fuels, etc., in a way that does not diminish their availability to future generations or pollute the environment. Organic agriculture is one example of a sustainable approach, although not all food produced with sustainable means is certified organic. 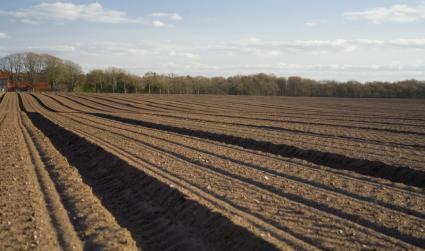 Cultivating healthy topsoil is one of the primary goals of any system of sustainable agriculture. If crops are planted season after season without replenishing the nutrients that leave with them, the soil becomes exhausted and reliant on fertilizers. Unfortunately, the manufacture and application of most types of fertilizer, especially synthetic ones, has negative consequences for the environment, according to Organic Valley, a consortium of organic dairy producers. Preserving fertility means alternating crops for harvest with crops for replenishing the soil, often called cover crops. This practice is advocated by Cornell University and many other agricultural institutions across the country. Since fields can't be harvested as frequently, annual yields are lower. This means farmers usually have to charge more for food produced in a sustainable manner. According to the Food and Agriculture Organization of the United Nations, agriculture accounts for 70 percent of all water withdrawn from lakes, rivers, streams, and aquifers on the planet. As the world's population increases and greater pressure is placed on freshwater resources, it is important for farmers to adopt practices that conserve water usage - a major tenet of sustainable agriculture. Cultivating healthy topsoil actually helps a lot with water conservation, since the soil has a sponge-like quality and does not dry out as fast as lifeless soil that is simply a medium for growing crops with nutrients supplied by fertilizers. 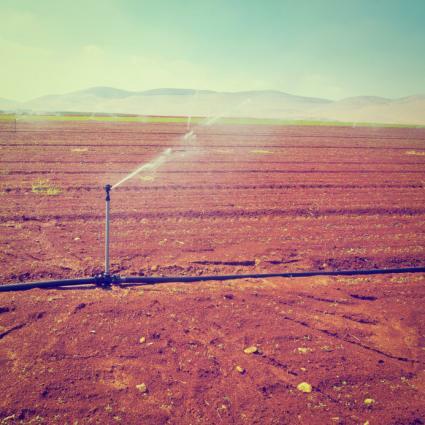 Drip irrigation and other "smart" watering systems are condoned by the Environmental Protection Agency and used to reduce the amount of water necessary to produce a crop. Ultimately, it is more important to use crops appropriate to the rainfall patterns of a given region. However, this principle is difficult to implement in some cases, such as in California, where the climate is so conducive to growing water-loving fruits and vegetables, yet there is little natural rainfall during the growing season. Environmentally-conscious farmers also avoid practices that contribute to the pollution of freshwater resources, whether from soil erosion or run-off that contains animal wastes, herbicides, pesticides or fertilizers. Erosion is controlled by minimizing the time period that the soil is left bare and exposed to heavy rainfall, as well as by building terraces, berms and swales that slow the rate of runoff. The Minnesota Department of Agriculture, as well as other agricultural extension services, encourages farmers to maintain dense vegetation around riparian areas to act as a natural filtration system and a physical buffer between their fields and waterways. According to Professor Patricia S. Muir of Oregon State University, it's important that the sustainable agriculture movement attempts to minimize the use of fossil fuel energy sources for the sake of reducing greenhouse gas emissions. Most synthetic pesticides, herbicides and fertilizers are derived from natural gas or petroleum products in some way. 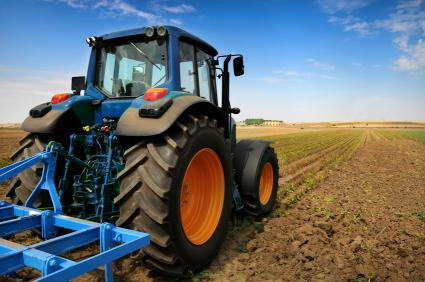 Additionally, energy sources are needed for agricultural machinery, pumps for irrigation systems, refrigeration of produce, and other common farm elements. Again, the simplest solutions are in the soil. Healthy topsoil is high in organic matter compared to depleted soils. Thus, according to the Research Institute of Organic Agriculture, sustainable-practice farmers are storing carbon in the soil, essentially taking it out of the atmosphere and helping reduce the greenhouse effect. The philosophy of sustainable agriculture also favors small farms over large ones, which means that human labor (and even animal power) can be used for cultivation, rather than relying on gas-powered machinery. 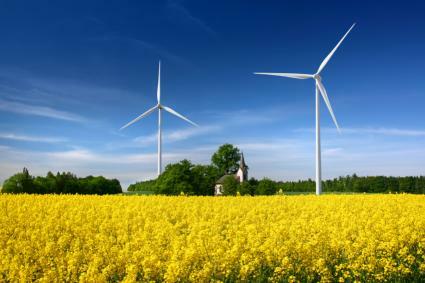 Some farmers also use solar, wind and hydro power to further reduce the demand for unsustainable energy sources. 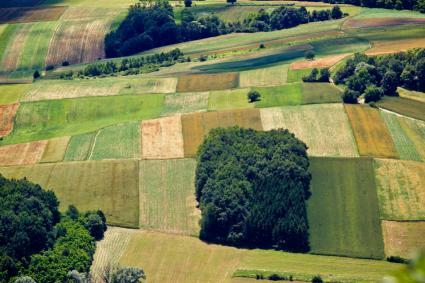 Rather than consume non-renewable resources, create pollution, and produce food with potentially unhealthy side effects, the vision of sustainable agriculture is for farms to function like natural systems. All the inputs - water, nutrients, energy, etc. - should be supplied within the system as much as possible. This way, farms can actually function as habitats for wildlife, rather than look like barren wastelands. Ultimately, sustainable agriculture envisions farmers as stewards of nature. Through their livelihood, they have the potential to feed the world and leave it a better place for future generations.